Child mortality has been widely perceived and addressed as a medical issue. Regardless of the fact that there has been a substantial decrease in child mortality world-wide it continues to be a concern in developing countries. Millions of children die each year due to preventable causes. 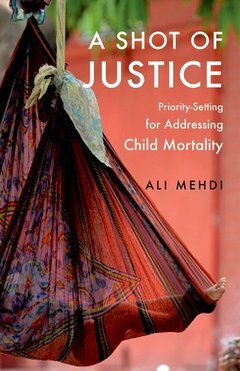 This book argues that there is a clear and consistent pattern of preventable child deaths, which is, at its core, a problem of justice. Modern theories of justice can offer important lessons for the design and assessment of child survival policies from an equity perspective. The book considers Amartya Sen's multifocal metric of justice as more plausible than its Rawlsian or resourcist counterparts. It argues that such an approach to justice is relevant for affirmative action policies, which have long been a source of resentment among historically better-off groups around the world, especially in two of the world's largest and most vibrant democracies-India and the United States.